WITH OUR FREE GIFT FOR YOU! your relationship with God and your creative work? One of the most simplest ways to start cultivating your spiritual life right away. The importance of integrating your deepest dreams and desires with daily creative disciplines. Why cultivating your craft leads to greater skill, proficiency and satisfaction in your art. How developing signficant relationships removes you from isolation and develops creative community. A 38 minute Grove mini-course with Grove Founder, Joey O'Connor. A Free PDF Course Outline. A FREE 50% Off Coupon good for any Grove Online Course. A free Grove Online Account for all your free Grove resources and online courses. Access to Grove Comments here you can post your comments, ideas and feedback. This is a great way to get a conversation going with other artists! Free updates from The Grove...discounts, upcoming artist events, and more free resources. To get started now, click the green Purchase Offer button. You'll be asked for your name, email and a password to create your free account. You will not be asked for credit card information. 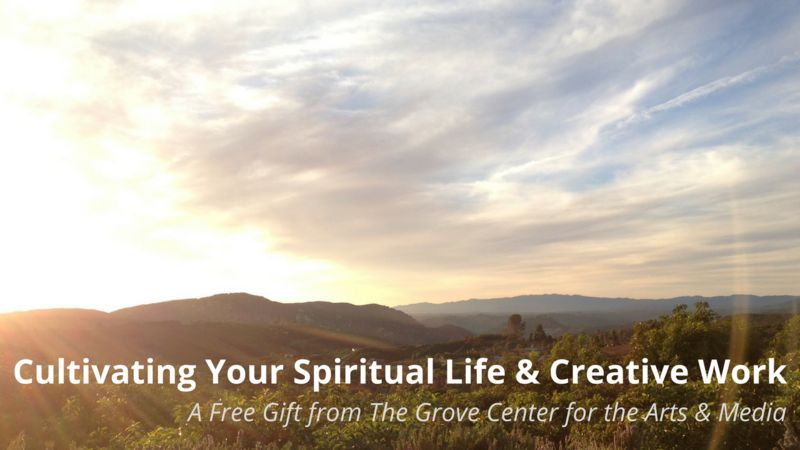 If you enjoy the content, feel free to check out our other Grove Online Courses. Your purchase helps support our ministry to artists. Privacy: We will never sell or give away your email address. If you enjoy this Grove course, please share this free gift with your friends! How will you cultivate your spritual life and creative work this year? Join Joey O'Connor in this recorded Facbook Live event. This free Grove resource is filled with inspiring stories, practical ideas and helpful tools designed to help you thrive as an artist.